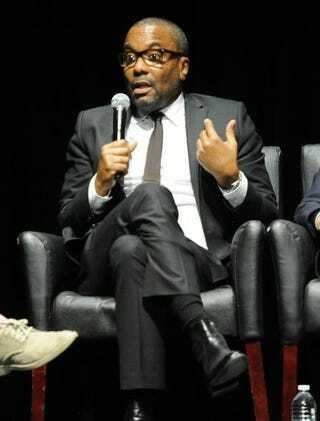 Director Lee Daniels during Fox’s Empire ATAS Academy Event at the Theatre at the Ace Hotel March 12, 2015, in Los Angeles. Tavis Smiley doesn’t seem to be a fan of Lee Daniels’ hit Fox series, Empire. During an interview on PoliticKING With Larry King, King and Smiley spoke about diversity in Hollywood and Smiley critiqued the show and its lack of positive characters. He also alluded to the fact that it shows the worst of black people. “There is a debate in the black community that hasn’t really surfaced, hasn’t really boiled to the top yet, but I hear it in barbershops and other places,” Smiley says, “that whether the problem with Empire is that it advances the worst of every pathology that black people have—crime and drug dealing and this and that and the other. A lot of people are looking for positive characters that may come out in the second season. But the first season, everybody is, ‘Ahhh!’” Smiley stated. Empire has definitely had its fair share of critics, some echoing the same sentiments Smiley expressed in the King interview. But what people forget about television is that it’s just as easy to change the channel as it is to hate-watch something. And as ratings show, Empire was a hit its first season. Smiley admitted that the show did remarkably well. Earlier this week, Daniels appeared at the Hollywood Radio & Television Society’s Hitmakers luncheon, and during an interview with ET, he responded to Smiley’s critique of the show. Daniels went on to say that his job is to explore people, in all conditions, and that nobody is perfect—which is what he’s presenting in Empire.